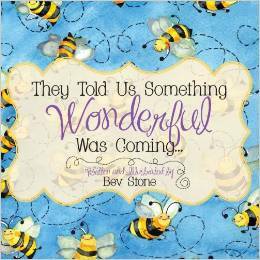 They Told Us Something Wonderful Was Coming makes me feel happy every time I read it. You will think you know what’s coming. It will be a surprise; I promise! Bev Stone’s prose is sweet and I found myself wanting to turn the page to get closer to the answer, but hesitating so I could take in her bright and beautiful illustrations. Ms. Stone also understands page and overall book design. You are drawn in from the first page to the last. Its message is that of affirmation; the joy of life. 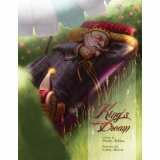 This book is appropriate for any age; it is just uplifting. Over the Under, and around the Square is an introduction to poetry. Author/illustrator Craig Kunce’s message about the ups and downs of a friendship particularly resonated with me. Like the best children’s books, it is written for children, yet has a message that adults can relate to. Mr. Kunce’s colorful illustrations perfectly capture the emotion of each scene. Sometimes a child is fighting with a good friend, or witnessing the marital difficulties of their parents. 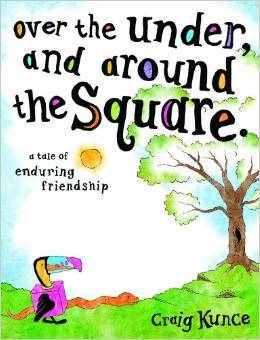 Over the Under, and around the Square gives adults an opportunity to talk to their little ones about their feelings – and about the nature of all relationships – in a safe and loving way. It is a hopeful message delivered in verse understandable to children – and adults. 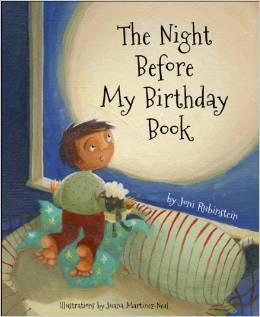 With The Night Before My Birthday Book Ms. Rubinstein starts a new tradition of sharing the excitement of your child’s birthday the night before their big day. In the book, the child dreams of the party and birthday gifts they will enjoy, but more importantly, the moments they will share with loved ones near and far. It has blanks within the story so you can say your child’s current age and the age they will be when they wake the next morning as you read. The book is meant as a keepsake. It has additional pages for tracking details about each birthday through the years. Ms. Martinez-Neal’s unique illustrations are warm and inviting. She depicts families of several backgrounds, so any child will feel that the story speaks to them, too. Death is a difficult subject. It is particularly hard to talk to a child about the impending departure of a dear loved one – like a grandmother. 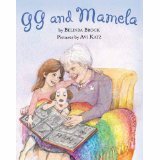 In GG and Mamela, Ms. Brock gently weaves advice on how to broach the subject of death with a child into a touching – and real – story of a great grandmother (GG) and her great-granddaughter (Mamela). The importance of tradition is shown, but not preached. Avi Katz captures the warm relationship between the generations in his ethereal illustrations. Oddly, and wonderfully, the book includes a recipe for GG’s homemade chicken noodle soup. I’ll let you know how it turns out. Please don’t let the topic scare you off from this lovely story. It is first and foremost a book about the relationship between a great-grandmother and her loving great-granddaughter. 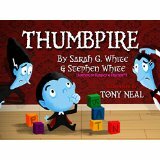 Thumbpire, the story of a baby vampire who cannot grow fangs until he stops sucking his thumb, is just fun! The Whites tell the story of Thumbpire in rhyming verse. Your child will love Tony Neal’s illustrations of all the crazy characters who try to help Thumbpire become a real vampire with real fangs. Ultimately, it’s Grandma who comes to the rescue. Of course, that’s what grandmothers do, after all. An engaging tale and bedtime story. 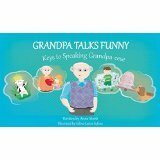 Grandpa Talks Funny: Keys to Speaking Grandpa-eese is a story that pokes a bit of generational fun at us old folks who use phrases that went out of style long ago. Anne Merle gets it all in – from “let’s get the ball rolling” to “bright as a penny.” The grandchildren’s “translation” is told in rhyming verse that just tickles your funny bone. (Ask your child to translate.) Adina-Larisa Sufana’s illustrations are simple and bright with a child-like quality that kids will enjoy. 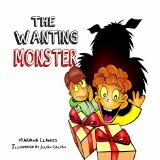 The Wanting Monster, the charming story about how an older brother deals with the holiday greediness of his younger brother, is written by now two-time Gittle List winner Mariana Llanos. The Wanting Monster is a fun Christmas story that captures the excitement and tradition of how a child prepares for the holiday. And, the loving relationship between brothers that is ultimately more important – and satisfying – than any toy. Julian Galvan’s illustrations have a cartoon quality that kids will get a kick out of. In Meet Bacteria! Ms. Bielawski introduces children to the topic of bacteria. It is science made fun and interesting. Heck, I learned a thing or two. Meet Bacteria! is book one of the Mummy Nature Series. 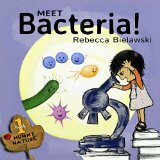 This is the kind of book that can spark a child’s curiosity and lead to a love of science and the natural world. We tend to separate imagination from science, but great discoveries require both. 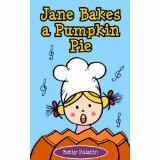 Jane Bakes a Pumpkin Pie is an introduction to baking that provides the recipe to pumpkin pie in rhyming verse. Ms. Palatin’s illustrations are bright and colorful. It is a simple recipe that is perfect for first-time bakers of any age. The recipe is given in “adult” form at the end of the book. My partner and I made it with organic canned pumpkin and a natural (chemical- and shortening-free) premade crust. It was quite yummy! All of these books will make great holiday gifts for the little ones in your life. Please click on the book cover or book title in the review to purchase the book. When your purchase originates from this website, I will get a small commission that helps me stay in business. Your support is appreciated!